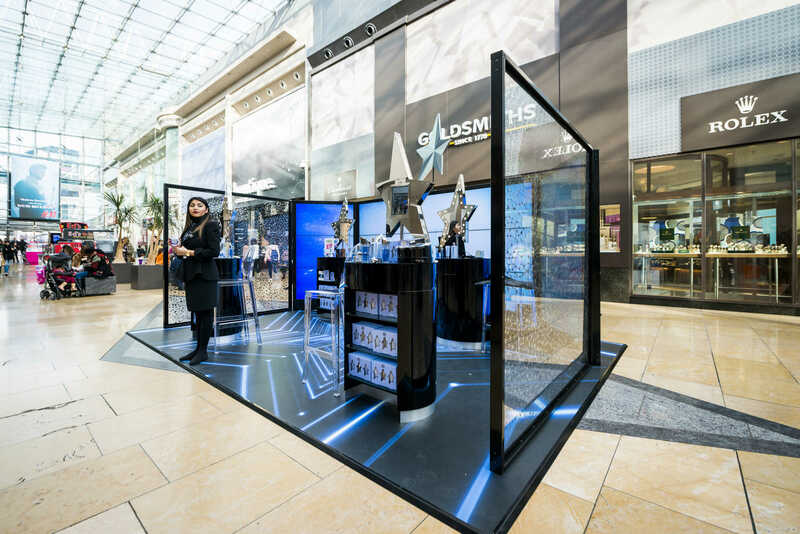 We were asked to manufacture and install 19 sites for Thierry Mugler’s Angel relaunch, this saw Georgia May-Jagger become the face of Angel. 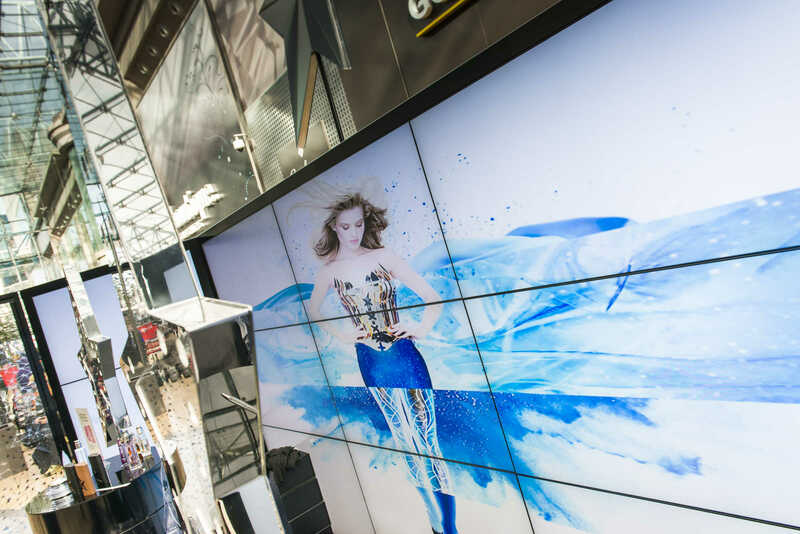 Two of the sites were large mall sites in the Bullring and Silverburn Glasgow which consisted of a TV wall of 15 screens running the advert on loop. We also built podiums to house iPads which offered an app whereby the consumer could take an Angel Selfie and upload directly to social media. 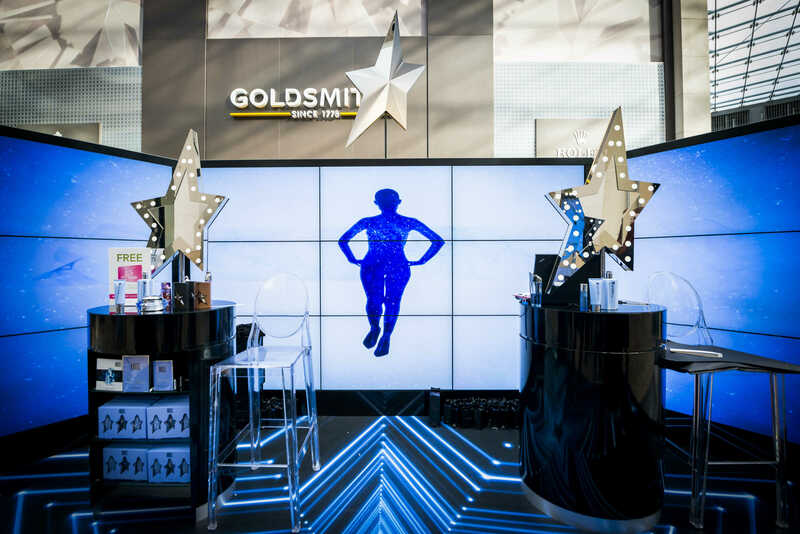 Each site had a star printed floor to enhance the space and invite people onto the sites for the interaction which were supported by Thierry Mugler Ambassadors.